A plant guild is a little landscape created by a gardener around a single tree. Cherry tree guilds use a cherry tree as the centerpiece of the planting area. You fill out the guild with understory plants that improve the soil, manipulate insects or otherwise increase your fruit yields. For more information about cherry tree plant guilds, read on. 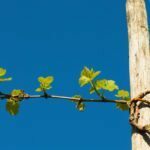 Think of creating a cherry tree plant guild as a polyculture technique. 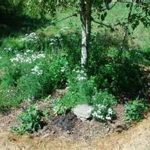 It allows you to plan and plant an entire natural, useful landscape using one tree as the focal point. The guild starts with the cherry tree, then encompasses other plant species. You select each additional species for a specific reason that makes it beneficial to the other plants in the guild. Holistically minded gardeners love the concept of cherry tree guilds. The idea of planning an entire landscape of plants that work together and cooperatively is appealing. And the results of planting around cherry guilds are rewarding. Since the plants complement each other, there is less maintenance work. Cherry tree plant guilds also optimize space, produce more diverse food gardens, and reduce the need for fertilizers and pesticides. If you want to know how to grow a cherry tree guild, you begin with a cherry tree and a plan. Every guild starts with a centerpiece tree that will represent the primary food yield of the system. With cherry tree guilds, a cherry tree is that centerpiece. 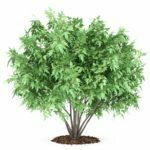 Select a site with enough room for both the tree and various secondary plants. Before planting a cherry tree, work the soil all around the site. 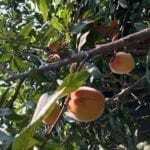 You will be installing an understory to assist the fruit tree to thrive and produce. 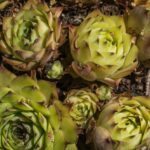 These smaller plants need excellent soil to do their job. Planting around cherry guilds is the next step. 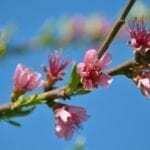 What types of plants should you include in cherry tree guilds? 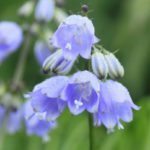 Any plant that helps the cherry tree is welcome, but some types of plants get priority. Experts agree that when you start planting around cherry guilds, your first focus should be plants that fix nitrogen into the soil. After that, consider plants that accumulate nutrients, attract pollinators and repel bad bugs. You might think about a grouping that includes chives, garlicand Dutch white clover. All act to fix nitrogen, as well as attracting pollinators. 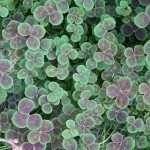 The clover also provides a living mulch you can walk on. If you want more options when you are figuring out how to build a cherry tree guild, here are a few. Consider calendula, chamomile, comfrey, oreganoor sweet alyssum for planting around cherry guilds.